The HP 3600 EI Switch Series delivers resiliency, security, and reliability at the enterprise edge with support for advanced Layer 3 and multicast routing. 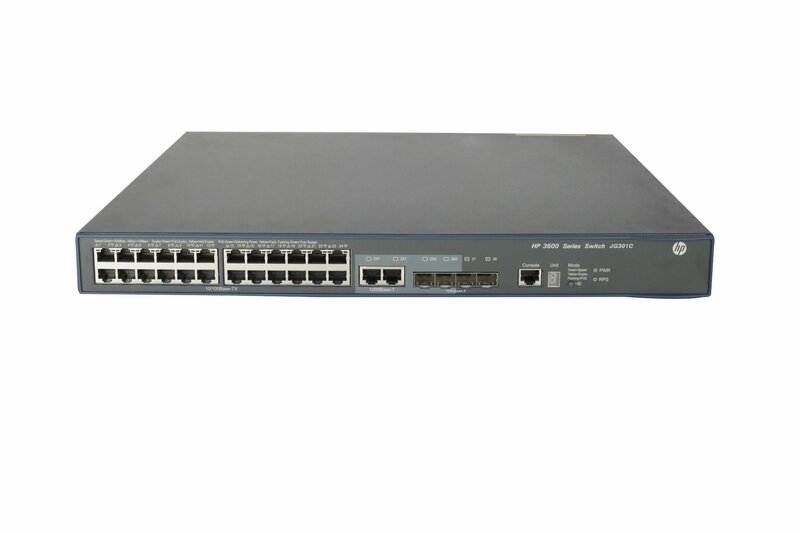 This advanced Layer 3 Fast Ethernet switch series has a robust feature set supporting IRF stacking, Static & RIP Routing, OSPF, BGP, IS-IS, PoE+, ACLs, and IPv6. 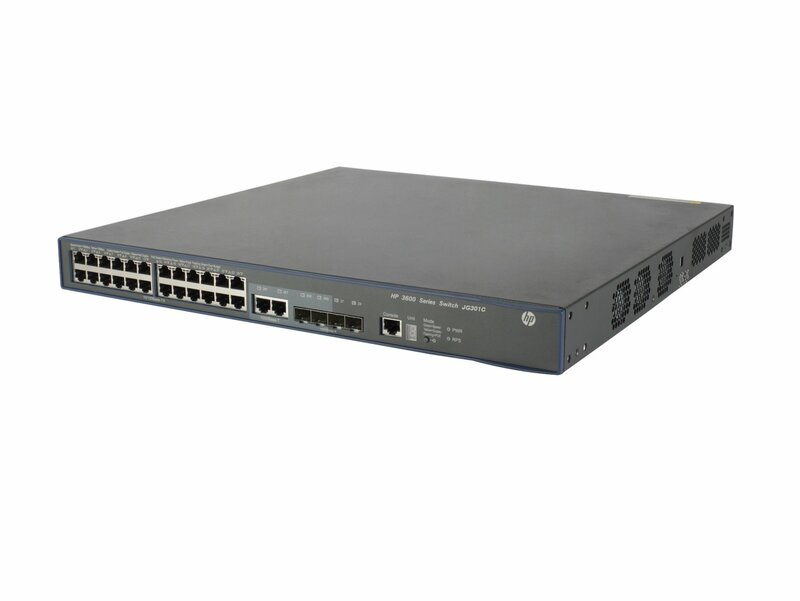 The HP 3600 EI Switch Series can be managed with the optional HP Intelligent Management Center (IMC) Software Platform for a single view of your entire network and includes a Limited Lifetime Warranty 2.0 with 3 years 24x7 phones support. The HPE 3600 EI Switch Series delivers resiliency, security, and reliability at the enterprise edge with support for advanced Layer 3 and multicast routing. This advanced Layer 3 Fast Ethernet switch series has a robust feature set supporting IRF stacking, Static & RIP Routing, OSPF, BGP, IS-IS, PoE+, ACLs, and IPv6. 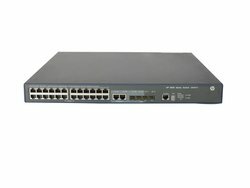 The 3600 EI Switch Series can be managed with the optional HPE Intelligent Management Center (IMC) Software Platform for a single view of your entire network. Advanced Layer 3 Fast Ethernet access switches for enterprise edge deployment. IRF stacking of up to 9 switches. 370 W PoE+ for wireless APs, IP phones and video cameras. The HPE 3600 EI Switch Series delivers resiliency, security, and reliability at the enterprise edge with support for advanced Layer 3 and multicast routing. 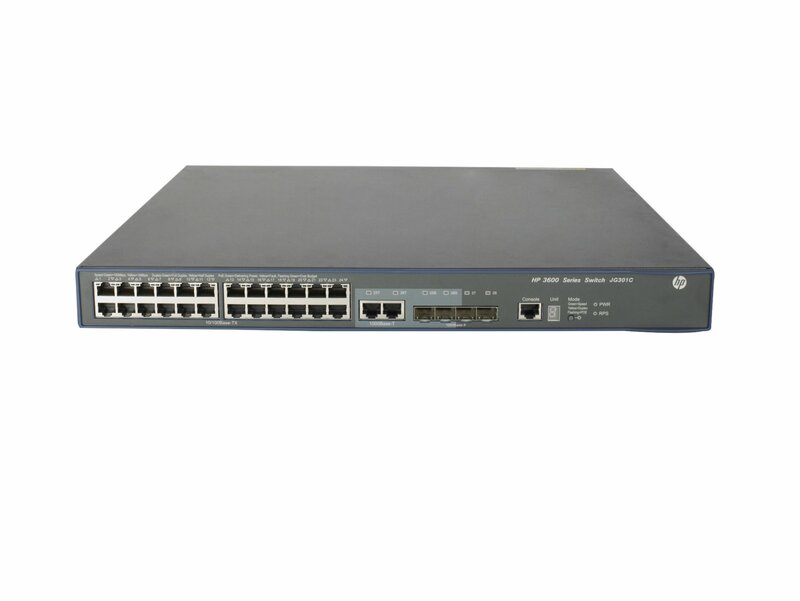 Designed for increased flexibility and scalability, the 3600 EI Switch Series comes with 24- or 48-10/100 ports and 4 SFP Gigabit Ethernet ports for stacking and uplinks, a 24-port 100BASE-FX switch with 2 or 4 Gigabit Ethernet SFP slots and models with 370 W of PoE+ power. Hewlett Packard Enterprise Intelligent Resilient Fabric (IRF) virtualizes up to nine physical switches into one logical device for simpler, flatter, more agile networks. Enterprise class features include Dynamic and Multicast Routing, RIP, OSPF, BGP, PIM, and ECMP. The HPE 3600 EI Switch Series supports advanced, classifier-based QoS which directs traffic using multiple match criteria based on Layer 2, 3, and 4 information and applies QoS policies such as setting priority level and rate limit to selected traffic on a per-port or per-VLAN basis. Provides extensive traffic prioritization with congestion actions: strict priority (SP), weighted round robin (WRR), weighted fair queuing (WFQ), and weighted random early discard (WRED). The HPE 3600 EI Switch Series supports flexible authentication methods including 802.1X, MAC, and Web for greater, policy-driven application security. The HPE 3600 EI Switch Series can be seamlessly managed with the optional HPE Intelligent Management Center (IMC) Software Platform to provide end-to-end network transparency with consistent network experience through comprehensive configuration, compliance and policy management.